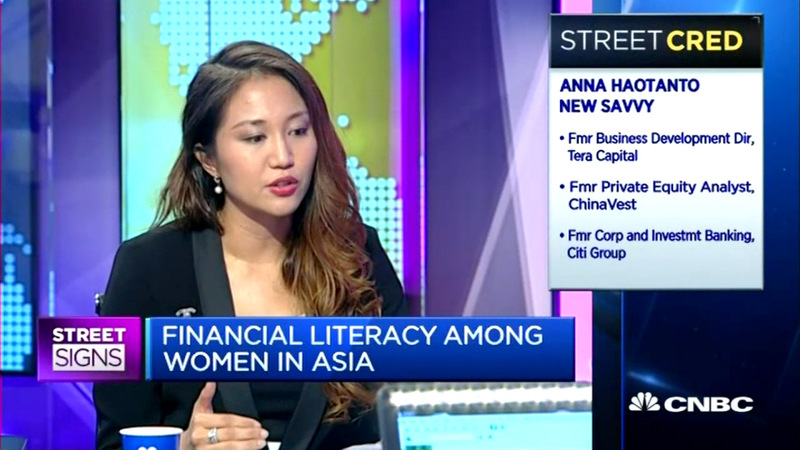 Anna Haotanto is the CEO of The New Savvy and Director at Tera Capital, a private investment firm. She is part of the founding committee of the Singapore FinTech Association and heads the Women In FinTech and Partnership Committee. Anna is the President of the Singapore Management University Women Alumni. She was awarded “Her Times Youth Award” at the Rising50 Women Empowerment Gala, organised by the Indonesian Embassy of Singapore. The award was presented by His Excellency Ngurah Swajaya. She is also LinkedIn Power Profiles 2017 for founders. She was nominated and selected for FORTUNE Most Powerful Women conference in 2017, 2016 (Asia) and 2015 (San Francisco, Next Gen). She was the keynote speaker for ASEAN-China Young Entrepreneur forum. Anna raised a six figure funding for The New Savvy within 1.5 years of operation. Anna conducts workshops on personal finance and had given talks on finance, women issues and empowerment for organisations – Singapore Exchange (SGX), ASEAN Women, Citi Group, DBS, ShareInvestor, UBER, Citi-SMU Financial Literacy Symposium, UBER, General Assembly, Singapore FinTech Association, REITs Symposium, Next Money, CRIB Society, Female Entrepreneurs Worldwide (FEW), SG50 Singapore Female Leaders, Singapore Women Network, ESSEC MBA, etc. She is proficient in English, Mandarin, Indonesia and Melayu. Anna was awarded Top Student (Salutatorian) for UOB-SMU Private Banking course. She completed the Massachusetts Institute of Technology (MIT) FinTech course. Anna spearheaded and founded the Women Alumni group at Singapore Management University.